Described by a contemporary as an ‘Atlas’ upon whose shoulders the idea of a scientific universe rested, John Dee (1527–1608) was one of the most influential philosophers of the Elizabethan Age. A close confidant of Queen Elizabeth, he helped to introduce mathematics to England, promoted the idea of maths as the basis of science, anticipated the invention of the telescope, charted the New World, and created one of the most magnificent libraries in Europe. At the height of his fame, Dee was poised to become one of the greats of the Renaissance. Yet he died in poverty and obscurity – his crime was to dabble in magic. 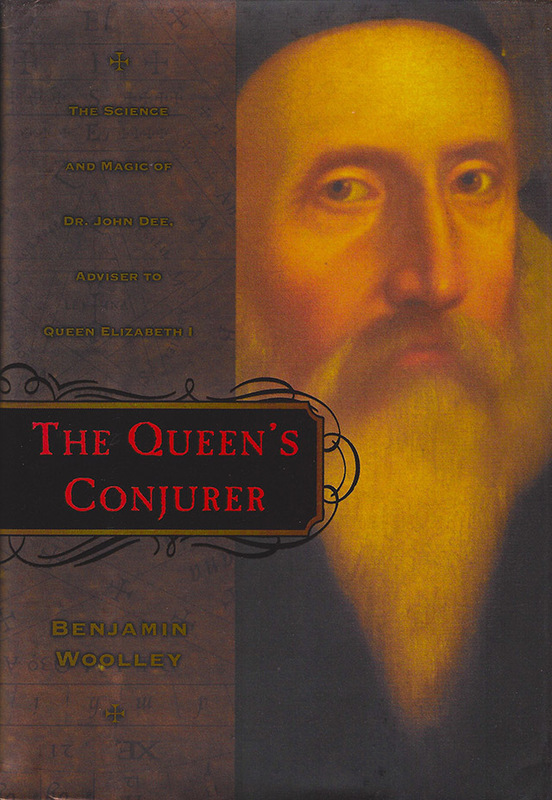 Based on Dee’s secret diaries which record in fine detail his experiments with the occult, Woolley’s bestselling book is a rich brew of Elizabethan sexual intrigue, science, intellectual exploration, discovery and misfortune. And it tells the story of one man’s epic but very personal struggle to come to terms with the fundamental dichotomy of the scientific age at the point it arose: the choice between ancient wisdom and modern science as the path to truth. ‘Woolley charts the course of the angelic discourses in spellbinding detail and with admirable objectivity - crammed with telling detail.’ Financial Times. One day in 1642, Robert Jones, a confectioner living at the sign of the Plough in London’s Lombard Street, decided to go with his wife Susannah to Addle Street, a lane running up from Castle Baynard, the great Norman fort on the banks of the Thames. The street was lined with joiners’ shops, and Mr and Mrs Jones were out to buy some ‘household stuff’. Their eyes alighted on a ‘Chest of Cedar wood, about a yard & a half long’. The lock and hinges were of such ‘extraordinary neat work’, the chest ‘invited them to buy it’. They discovered from the shopkeeper that the chest had come from the household of Thomas Woodall, a royal surgeon. Woodall had apparently inherited it from his father, who was also a surgeon. Mr and Mrs Jones bought the chest and took it back to Lombard Street, where it remained undisturbed for twenty years. In 1662, they decided to move the chest. When they lifted it, they heard a rattle ‘toward the right hand end, under the Box or Till thereof, & by shaking it, were fully satisfied it was so’. Mr Jones decided to investigate further. In the base of the box, he discovered a ‘small crevice’ or slit. He stuck a knife into it, and a hidden drawer popped out. Inside he found a collection of books, papers and a small casket containing a necklace of beads made of olive stones, from which dangled a wooden cross. The Joneses leafed through the books and papers so secretively stored but could make no sense of them. They had Latin titles such as 48 Claves Angelicae (The 48 Angelic Keys), and contained prose written in gibberish, word squares, hieroglyphs and tables. They put the pile to one side. When their maid found the papers, she thought them particularly suitable for the lining of pie tins and ‘other like uses’. She had worked her way through about half the pile before her employers noticed. They put the surviving documents back in the chest, and then forgot about them once more. Mr Jones died in 1664. Two years later, the Great Fire of London broke out. As panic spread through the surrounding streets, Susannah Jones gathered together as many possessions as she could carry and took them to safety in Moorfields, north of the City wall. Too heavy to move, the chest and was left to be burnt along with her home. However, she decided to remove the mysterious papers from the chest and take them with her. Soon after, she remarried. Her new husband was Thomas Wale, a warder at the Tower of London. She showed him the papers, and, though he could make no sense of them either, he recognised their potential value. He knew of a man with an interest in such works, a lawyer and collector called Elias Ashmole. 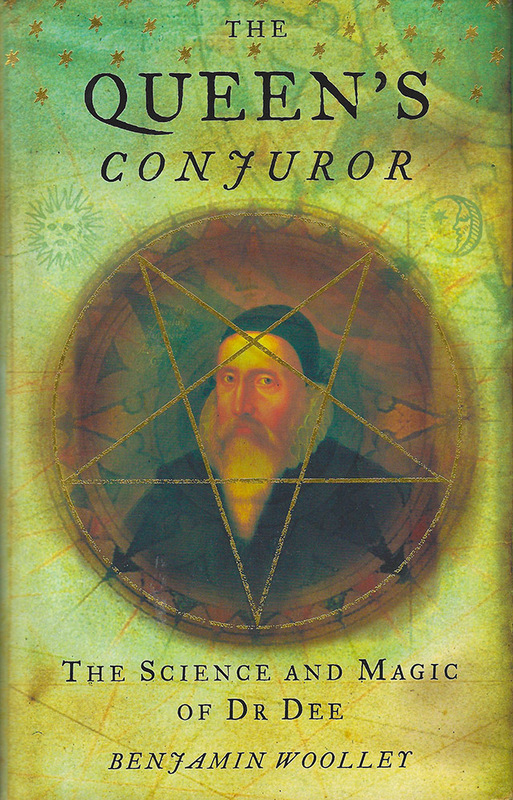 Ashmole was an expert in astrology, alchemy and other occult matters. He was also one of the most important antiquarians of the seventeenth century, his collection was to form the basis for Oxford’s magnificent Ashmolean Museum. On 20 August 1672, while he was at the country house of his friend the astrologer William Lilly in Hersham, Surrey, his servant Samuel Story turned up with a parcel containing the preserved papers. Thomas Wale wondered if Ashmole would be prepared to swap them for a volume on the Order of the Garter. When Ashmole unwrapped the parcel, he could barely contain his excitement. These were papers he had spent years searching for, and he must have assumed to be destroyed. He arranged to meet Mr Wale’s wife a week later at the Excise Office in Broad Street, where he worked. When she told him the story of how the papers had come into her possession, his hopes were confirmed. John Woodall, the father of the former owner of the chest, had been the last known custodian of the collection of Dr John Dee. These volumes were the surviving remnants of Dee’s Liber Mysteriorium, his books of mysteries. According to the man in whose hand they were written, they contained the secrets of the universe. There is no record of the moment John Dee entered the world. He is not listed in any parish register or private correspondence. There is no birth certificate or diary entry. There is only a series of numbers, which give a cosmic coordinate: 1527 July 13 4h.2'. P.M. Lat. 51°.32'. The data is inscribed on a mysterious document among his papers at the Bodleian Library in Oxford. A square containing a series of numbers and astrological symbols is sketched on parchment. It is a horoscope, drawn up in the ancient manner, showing the heavens at the precise time and place of Dee’s birth. He was born at 4.02pm on 13 July 1527. His birthplace was 51 degrees and 32 seconds north of the equator, roughly the latitude of London. Latitudes, which specify how far north or south a location is on the earth’s surface, were not missing from maps of early or mid sixteenth-century England (there were barely any maps anyway; the earliest to survive of London is dated 1558). However, the information could be found in tables of astrological data. One set compiled by Dee is to be found among his papers; it identifies the location of cities and landmarks across the world, from Paris (49° 10’, 150 miles from London) to the ‘Lake of Sodome’ (31° 10’, 2,404 miles from London). In that table, Dee gives London’s latitude as that shown on his birthchart, which—according to modern measurement—falls just outside the wall marking the city’s northern limit. Following contemporary practice, Dee did not record the longitude (the east/west position) of his birthplace. There was no standard meridian at the time, and the methods of measuring longitude were extremely unreliable. However, from the date and the position of the Sun plotted on the birthchart, it is evident that Dee’s birthplace was within a few degrees of the modern Greenwich meridian.The most likely location for Dee’s birth is the City itself. His father Roland, of Welsh descent, was a textile merchant and member of London’s powerful guild of ‘mercers’. His mother Jane, was the daughter of William Wild. Roland married her when she was fifteen. Born three years after the wedding, John was apparently their first and only surviving child. Roland was recorded in as being resident in Tower Ward, the area immediately west of the great Norman Tower of London, and within sight of Tower Hill, where, as the Tudor surveyor John Stow put it, ‘is always readily prepared at the charges of the city a large scaffold and gallows of timber, for the execution of such traitors and transgressors as are delivered out of the Tower’. In later years Roland would find himself a ‘transgressor’ and spend time in the Tower. But in the 1520s, he was on the threshold of a promising career, which drew him in the opposite direction, towards the City’s teeming square mile. Many merchants in Tower Ward lived along Thames Street, close to Billingsgate Docks, where the quays bustled with barques and barges bringing herring, wine, wool and timber into the capital. Next to Watergate, which was a lane leading up from the river, stood ‘Wool Wharf’, which had been used for the ‘tronage’—public weighing—of wool imports ever since the reign of Richard II. Roland Dee was later to perform a similar job, so he and his son were likely to have visited, and may have even occupied, the rickety riverside house, as bulbous packets of wool were heaved into its weighing room and dropped on the official scales or ‘tron’. East of Thames Street lay the imposing parish church of St Dunstan’s. Its fabric was lavishly maintained by local merchants, whose bequests were rewarded with opulent sepulchres in its nave and cemetery. Dunstan was then one of England’s most revered and popular saints ( another church is named after him in the west of the city). Much associated with Glastonbury and early British nationalism, his name would feature prominently in the life of the boy who was being brought up within its precincts. Surrounding St Dunstan’s were the bustling inns and narrow streets whose very names spelled commerce: Lombard Street, just north of the church, called after the merchants of Northern Italy who settled there in the twelfth century; the Three Cranes, which was named after a timber crane used to unload lighters loaded with casks of Bordeaux, and the chosen venue for French tradesmen brokering deals with English vintners; Threadneedle, Milk and Friday Street, where tailors, dairymen and fishmongers plied their trades; Cheapside, the thoroughfare for London’s main market or ‘cheap’ which was lined with grocers and apothecaries; Ironmongers Lane, where among the clanking wares hanging from shopfronts, Roland would go to meet his fellow Mercers at their handsome Hall. This was the world that shaped Dee’s formative years: a place filled with the babble of foreign tongues and complex numbers, of ready ‘reckonyngs’ and tricky deals. However, the City was not the only focus of Roland Dee’s career, and it is just possible that John was born just a few miles up the Thames, on the Greenwich meridian itself. Greenwich Palace stood on the bank of the Thames, Greenwich Hill rising up behind. It was King Henry VIII’s birthplace and his main residence. Roland had a position in Henry’s Court as a ‘gentleman sewer’. His role, like so many court positions at the time, hovered between the ceremonial and the functional. It is unlikely Roland would have been expected to stitch the King’s clothing, but he may have been involved with buying and maintaining the innumerable fabrics that furnished the King’s palaces and person. That summer of 1527, events were taking place within the confines of Henry’s private apartments at Greenwich which would prove momentous in English and European history. Just three weeks before John Dee’s birth, the king, desperate both for a male heir and to consummate his infatuation for Anne Boleyn, accosted his wife Catherine ‘in her closet’ and, reviving arguments about their union violating Biblical law, suddenly announced that their marriage was invalid. In the drama that followed, a key role was played by a colleague of Roland’s, another gentleman sewer but in Catherine of Aragon’s retinue, Felipez. Catherine was desperate to get news back to her nephew and Catholic guardian, Charles V of Spain, the Holy Roman Emperor and most powerful monarch in Europe. She told Felipez to go to the king and protest that the queen had cruelly refused him passage home to Spain, where his mother was dangerously ill. Catherine knew Henry would contradict her and dispatch the apparently disgruntled servant back home, where he could then make contact with Charles. However, Henry was prepared for such ‘dissimulation’ and ‘did also dissimulate’. He granted Felipez a licence to leave the country while arranging for agents to waylay him en route. But Felipez managed to give them the slip and reach the emperor at Valladolid, where he broke the news of Henry’s plan. These revelations precipitated Henry’s break with Rome and the turmoil of the Reformation, seismic events that would shape English politics for generations to come, and bring danger and conflict into the life of the infant son denied to Henry and Catherine, but so recently born to Roland and Jane. While the world around was in turmoil, the heavens above presented a picture of serene certainty. Standing in the pastures and playing fields that surrounded the City’s walls, gazing at a vivid canopy of stars yet to be diminished by light or atmospheric pollution, John Dee beheld a universe that had apparently remained unchanged since the Creation. Common wisdom was that the earth was at the centre of the cosmos; the sun, the moon and the planets revolved around it, fixed to the perimeters of a series of concentric spheres. The outermost sphere carried the stars. And beyond lay heaven. Historians of science call the modern view of the universe mechanistic, but the ancient one was as mechanical as a clock. In a state of constant movement, the system was regulated by immutable laws. Change was possible only within the space between the earth’s surface and the orbit of the moon. This was the sphere of fire and air, the domain of such ephemeral astronomical phenomena as comets and meteors. This, then, was the cosmos that Dee beheld: stable, fixed and finite. There were disputes over details, but the overall view had not changed significantly since the Egyptian astronomer Claudius Ptolemy had established the mathematical laws by which the universe operated in the second century. Ptolemy had invented a series of hypothetical entities such as ‘epicycles’, ‘deferents’ and ‘equants’ which made it possible to work out with a high degree of accuracy not just the motions of the planets in the past, but their positions into the distant future, accounting even for such astronomical gymnastics as retrograde motion, when a planet appears to stop, backtrack, and then continue onwards. Many tables of planetary positions were compiled using Ptolemy’s formulae. These showed how each planet moved in relation to the stars, in particular the constellations of the zodiac. Such almanacs or ephemerides were among the most popular books to be produced in these early days of printing, and Dee would eventually accumulate more than fifteen different sets in his library. It was one of these that he used to work out his birthchart. Exploiting the mathematical nature of these heavenly motions, he could plot the positions of the planets at the moment of his birth with far more certainty and precision than the flapping scholars his father passed in the Greenwich Palace corridors could determine the legitimacy of Henry VIII’s matrimonial manoeuvres. Birth charts are now circular, but Dee’s was drawn up as a square, a form which went back to the ancient Egyptians. The information it contains is very similar to that of a modern chart, except that the as yet undiscovered planets Uranus, Neptune and Pluto are missing. Dee managed to map the position of each heavenly body in the sky to within a few minutes of arc (a minute being one-sixtieth of a degree), with the exception of Mercury, nearly two degrees adrift. The ascendant, which marks the position of the sign of the zodiac rising on the eastern horizon, is out by almost one degree. The twelve triangles represent the most synthetic elements of any birthchart, the position of the ‘houses’. These are purely astrological (as opposed to astronomical) entities, determining how the planets influence the subject’s appearance, temperament, property, relationships and so on. As the signs of the Zodiac are tied to the rotation of the celestial sphere, the houses are tied to the rotation of the earth, the two becoming enmeshed by the moment of birth. Dee left no interpretation of his own chart. He rarely committed his findings to writing. Such works could be dangerous, particularly when the subjects were of aristocratic or royal status, which many were. Dee’s only interpretation of any length that survives concerns his pupil, the glamorous poet and soldier Sir Philip Sidney, for whom Dee drew up a sixty-two page nativity which made several tentative predictions. He foretold that Sidney would enjoy a wonderful career between fifteen and thirty-one. Then he faced mortal danger from a sword or gunshot injury which, if survived, would inaugurate even greater glories and a long life. Sidney was killed in battle in the Low Countries on 17 October 1586, aged thirty-one. Dee’s own chart depicts similar tensions. The two most powerful influences, the Sun and the Moon, the two ‘luminaries’, are in opposition—a common enough configuration, but one that suggested conflict. More notable was the position of Jupiter, which basked with the Sun in the ‘serene and warm’ sign of Cancer, where it was exalted. In his copy of Ptolemy, he marked the observation that Jupiter’s distance from the ascendant (the sign rising on the eastern horizon) indicated that he would be skilled in philosophy. ‘If he should be lord alone,’ Ptolemy had written, Jupiter would also promote ‘honour, happiness, content and peace’. Unfortunately, in Dee’s chart, Jupiter was threatened by Mars, so his benign influence was seriously compromised. The same passage in Ptolemy that promised scientific proficiency also warned of isolation and condemnation. Other disturbing signs included the presence of the star Antares together with the planet Mars. Also known as the ‘Scorpion’s heart’, Antares appears in the middle of the constellation of Scorpio. While Mars is a troublesome presence in any chart, causing ‘mischief and destruction’, as Ptolemy put it, Antares was traditionally seen to have an influence similar to Mars, so the presence of the two apparently acting in unison, and within the sign ruled by Mars, must have struck Dee as a threatening combination. Dee’s chart thus revealed the cosmic setting of the life he was about to lead, one of schisms and oppositions, of sunshine and moonshadow, jovial humanity and Martian malevolence, in a world that promised understanding, but threatened isolation.